Well, I did it. I told my story on Facebook to my 500+ friends, some of whom I actually know, some just virtual acquaintances. The response was remarkably better than I expected. I know I was looking for support, but I als felt like if someone could learn something from what I am going through, I’d want to help them. This is the picture I shared, which is dramatic enough to begin with. Thanks to everyone for the overwhelmingly supportive comments on my new profile picture. I have written this post in my head a million times, and even needed to start a blog to figure out how to start. So I’ll just do this: on July 5, I had gastric bypass surgery. There’s a growing number of my friends and family that know, and with a couple of exceptions, the support has been amazing. Weight loss surgery patients commonly hear comments like, “you took the easy way out” or “couldn’t you just do it with diet and exercise?” Well let me tell you, nothing about this has been easy, and no — my body doesn’t understand diet and exercise. It was defending a weight and would do everything to stay there. Those of you who have known me for a while know that I have struggled with my weight for my whole life. 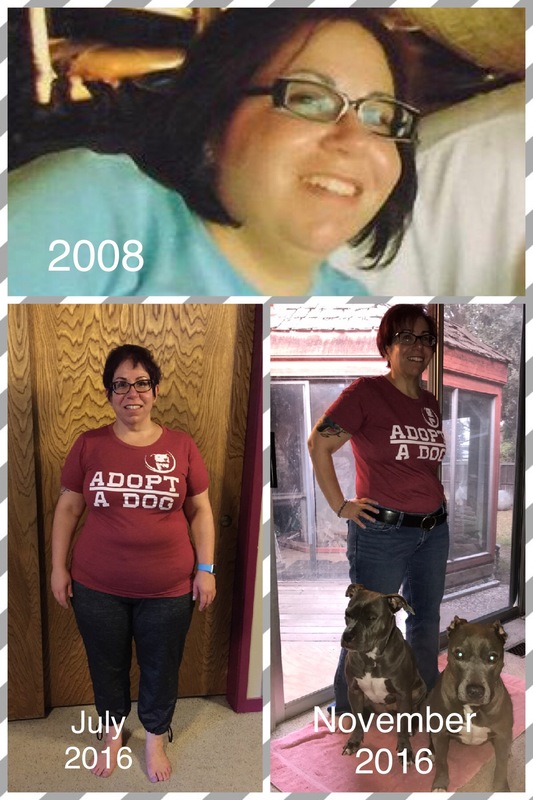 In 2009, I did a medically supervised weight loss program and lost 75 pounds and was able to maintain a good chunk of that weight loss for about 5 years. Various medical issues like a pituitary tumor, sluggish thyroid, medications, stress, lack of sleep, depression and anxiety, and a range of metabolic issues made it an uphill battle to maintain, let alone lose. My metabolism is shut down. I was referred for weight loss surgery in November of last year, right before Thanksgiving. I was upset, embarrassed and felt like a failure. I did months of research, stepped through a lot of hoops with the insurance company, and talked to friends who had the procedure and decided that this was the best option for me. I’m about 2/3 of the way to my goal, and it’s very slow, but that’s okay. It’s a huge lifestyle change and there’s a lot of rules. But hey — I am a rule follower. I’ve had great support from friends (and my bosses) at work. But you can read more about that on my blog, and follow the rest of my journey. Visit marilynunraveled.com. The pictures here are from a trip to Mexico in 2008, 3 days before my surgery, and then today. It’s been a long road, and there’s more to go, but I invite you all along with me. In addition to the supportive comments, I’ve also received a few private messages of encouragement and of thanks. People who were at a crossroads in their own journeys who may have needed a push. I feel a sense of relief now that this is out there. Since privacy settings in Facebook and Instagram are so unpredictable, more and more people were solving the mystery of why I eat 1/4 cup of food at a time. Feeling supported, grateful, and a little bit teary eyed. I have some amazing people in my life.